Dark Star Records welcomes Conquest to the metal family. Strong, aggressive, high energy musicians from the Midwest, Conquest has rocked the nation with their pure breed of Modern Heavy Metal stemming from the old school influences of Metallica, Judas Priest and Slayer with the modern sound of Trivium and Shadows Fall. Conquest formed in late 1989 by founder Derrick Brumley, frontman and guitar player of the band. Joined by Tony Restivo, Tim Fleetwood and Adrian Vesper, Conquest played locally and made their first full length heavy metal record titled Hellraiser (demo). Through the 90’s the band experimented with a variety of metal styles only to find the real calling for the band was aggressive in your face high energy thrash. In 1995 with the departure of Adrian Vesper and the addition of Mike Crook, Conquest rejuvenated their heavy root beginning with the European release of Rage. In 2000, Tony Restivo left the band and was replaced by Robert Lloyd. The band began work on what would become their next release No Boundaries. With the success of the No Boundaries tour where they completed a full 70 over the road performance, Jagermeistermusic offered their endorsement of Conquest, opening up new avenues for the band. 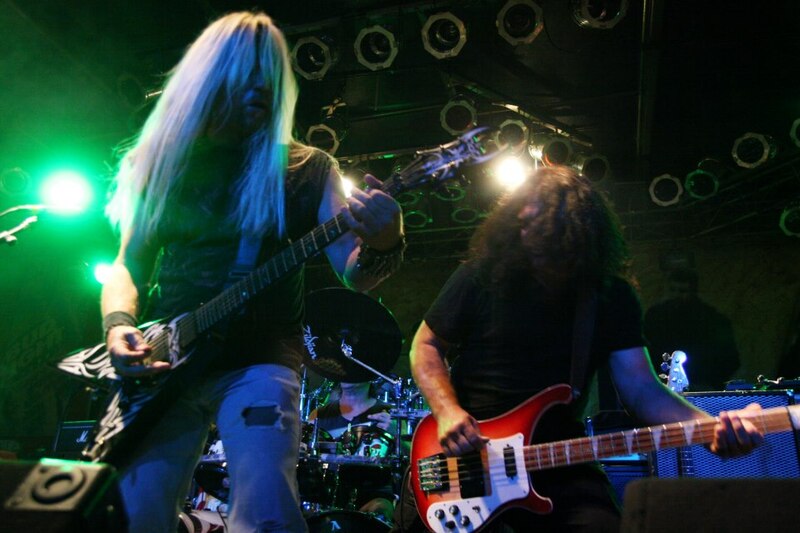 In 2005 with the exit of Robert Lloyd and the return of former bass player Tony Restivo, Conquest began work on their largest project to date End of Days. After rave reviews record label Dark Star Records joined the forces and will release End of Days on June 3, 2008. Metal fans will delight in the fresh, aggressive, high energy, melodic breed of pure heavy metal Conquest delivers and can count on consistency of their recordings equaling their strapping stage performances not always found in the metal world.